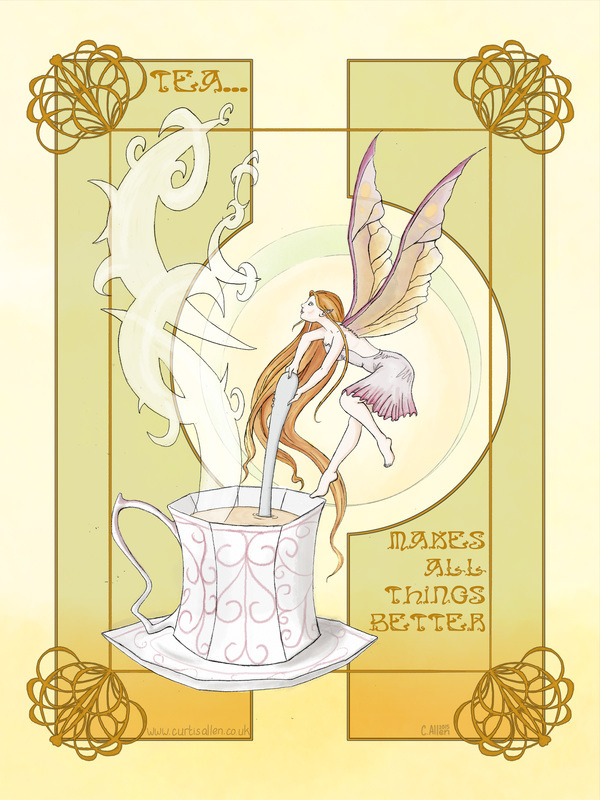 For if you've ever felt just too darned comfortable to get up and make a cuppa but desperately want a brew, your wish may just come true in the Tea Fairy. She's available as a print from my shop, here. See how this piece progressed, step-by-step here.